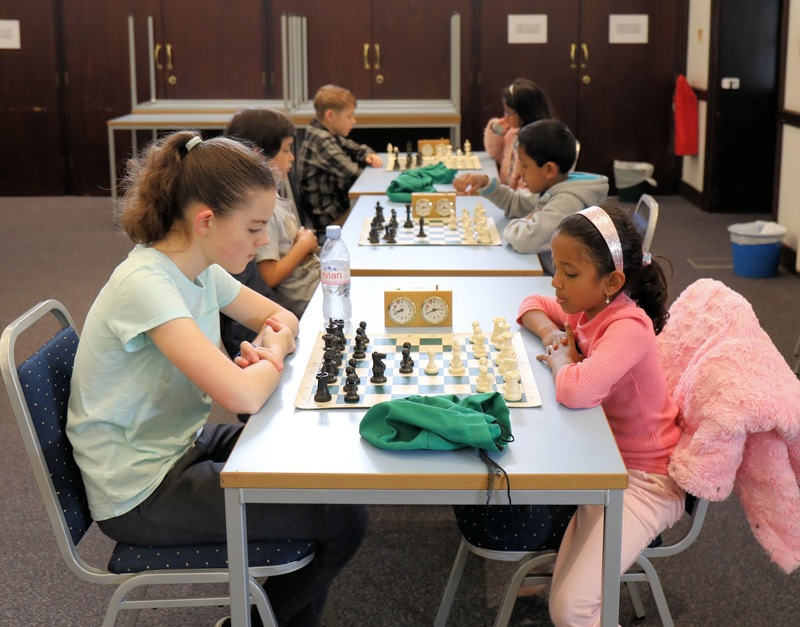 The recently re-formed Ipswich Junior Chess Club invited a team of three Bury Knights members to play some games today at their weekly club meeting. The three Bury Knights were Amy John, Toby and Tia Martin. They played a number of Ipswich members, winning 14 out of the 16 games played. This was intended to give the Ipswich members the experience of playing some stronger opponents. The two wins were earned by Ipswich's best players, Jenni Rochford and Cayden Judge. The photo above shows the venue - the Lecture Room at Ipswich Library, with 15 Ipswich members present (a record! ), as well as the three Bury Knights' members. The adult in the centre is Martin Tomes, the club organiser and member of the Ipswich Chess Club. Martin welcomes assistance from other Ipswich Chess Club members, who occasionally come along to help. 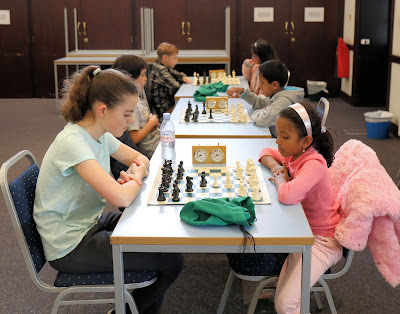 Watching these youngsters improve, and eventually mature into proficient players, can be extremely motivating. 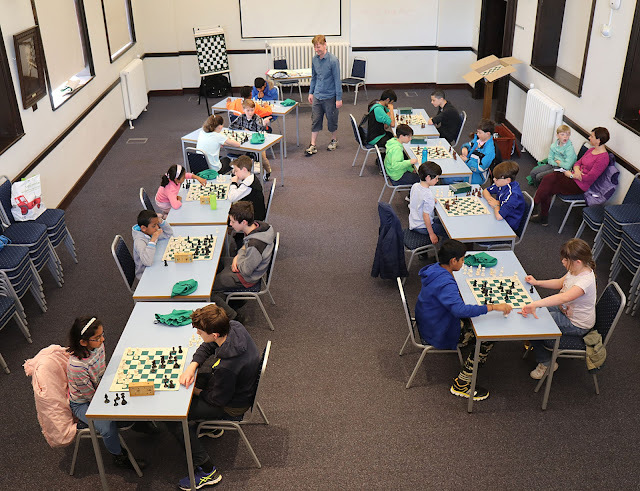 The photo above shows the three Bury Knights members (all playing White), in their first matches against Jenni Rochford, Hamilton Lowdell and John-Paul Noble. Manningtree are Suffolk League Champions!